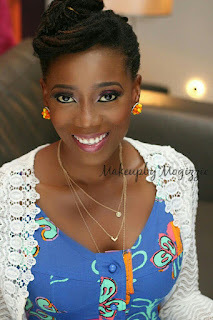 Tosyn Bucknor's Blog: I met NBA legend, Jerome Williams, and i did not even take a selfie!!! I met NBA legend, Jerome Williams, and i did not even take a selfie!!! On Friday, i put on my work heels and went for the reception with NBA legend, Jerome Williams. Basketball fans will know 'Junkyard Dog' very well. He played for the New York Knicks among other great teams, and was a fan favourite. Can you imagine me standing beside Jerome? 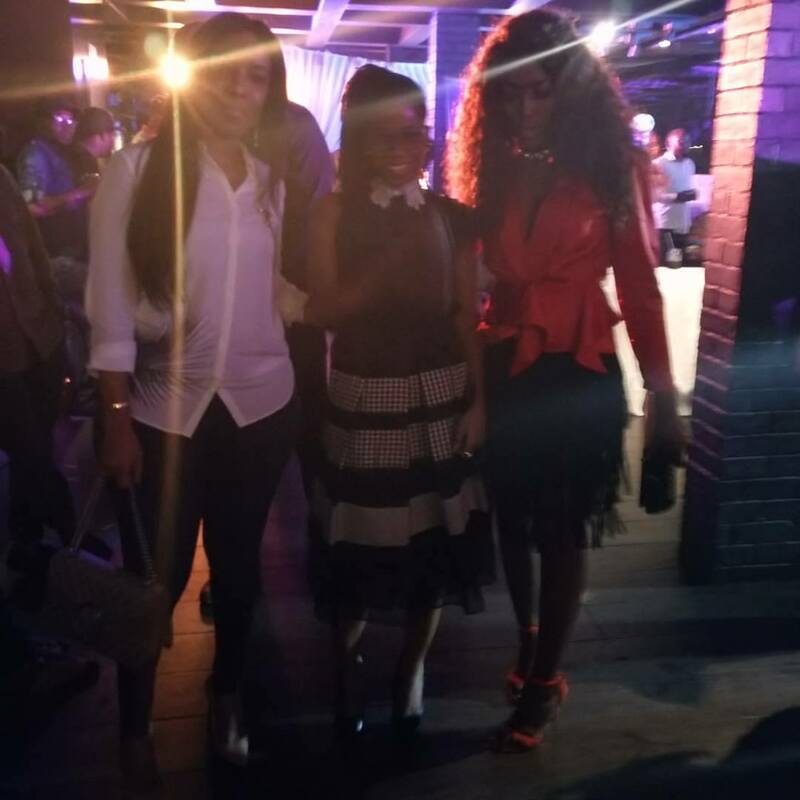 The reception was by Africa’s largest and first truly pan-African free-to-air TV channel, Kwesé Free Sports Hard Rock Café in Lagos. I hung out with Lamide Akintobi, Lynxxx, Sound Sultan, Olumide Oyedeji (remind me to show you the picture i once took with him at the radio station), Ugo Udezue (former NBA player and now NBA agent), Vimbai and Joselyn Dumas. Since i had my work heels on, i was trying hard to get a lot of content, and then i completely forgot to take any personal ones. No scrap that. 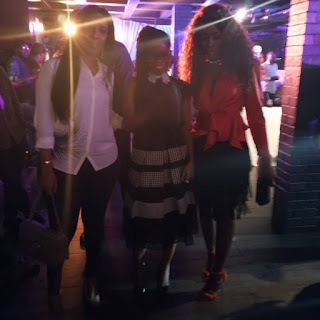 I did take one with Vimbai and Joselyn, but then the light was in our eyes so go figure. As for Jerome Williams, when i went to chat with him, he stood up. Mehn, i had to go, "You are so tall, please could we sit down instead?" He did some cool shout outs for Kwesefied though, and i also got everyone from Jimmie (the host), to Colin Udoh (i forced him) and Joselyn to do some as well so you should check them out via our Instagram. Meanwhile, if you follow Sound Sultan, you will know he loooooves his basketball so this is like dope news all around- Sound Sultan will host a new show called 'NBA Sundays' every Sunday starting in November, live from Hard Rock Cafe, Lagos. NBA fans can also catch four NBA games every Sunday. Kwese Free Sport broadcasts on terrestrial television on UHF 32 in Lagos. It is also available on Kwese TV decoder channel 285 and FreeTV channel 732 in Abuja and Jos.